A woman from New Jersey got the surprise of her life after she “accidentally” purchased a lottery ticket in New York City and used it as a bookmark for two weeks before finally opening it. 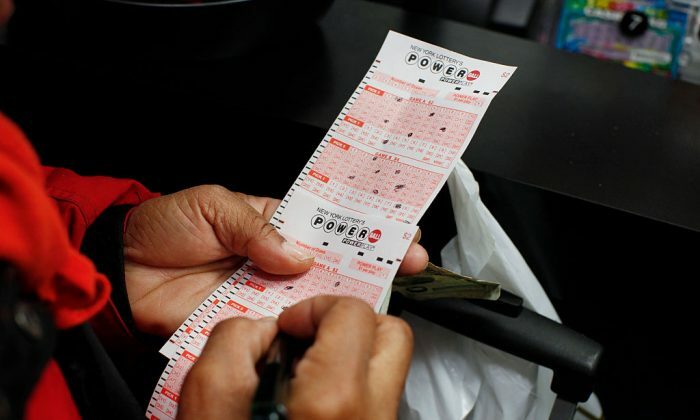 Forty-six-year-old Oksana Zaharov, of Edgewater, told New York lottery officials that she only planned to buy a $1 scratch-off ticket but was mistakenly issued a $10 “Set for Life” ticket by the clerk, NJ.com reported. She decided to keep and pay the $10 for it anyway. The mother of two said she doesn’t normally check her numbers immediately after buying scratch-off tickets. She won a total of $5 million. According to NJ.com, Zaharov is set to receive 19 annual payments of $260,000 ($172,068 after taxes) and one additional payment of $60,000 (net $39,708). After that, she will continue to receive an annual net payment of $172,068. The current jackpot is $361 million for MegaMillions is and $440 million for Powerball. Zaharov said she could not believe her eyes after she scratched the ticket to reveal the winning numbers. She bought the ticket at Trisha Convenience on Dyckman Street in Manhattan, according to NJ.com. The mother plans to celebrate by going on a family vacation to the Bahamas. She also plans to set aside money for her children’s college education.